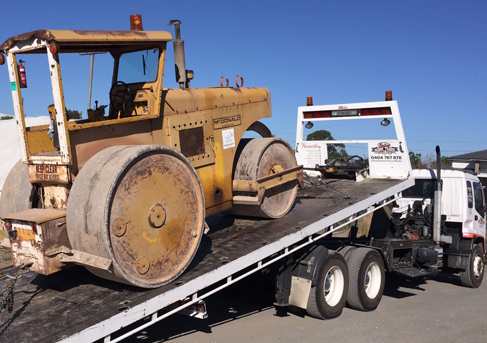 Famous Heavy Towing Center has experienced and dependable drivers who are also highly skilled riggers who are working hard to deliver your equipment on time and damage free. We have a fleet of trucks and equipment that protects your valuable assets during a single machine move or an entire plant relocation. We are knowledgeable in state and federal regulations so rest assured that we have the permits and documents you need to make your machinery transport move efficiently. Our drivers and fleet also have the necessary security clearances and credentials to provide the necessary transportation services from any point of origin to its destination. Famous Heavy towing is also ready to find solution for your transportation challenge. It can be in density, destination, dimension or all of the three, we are ready with all innovative solutions. We can work with you to solve your needs and apply our accumulated experience in the field to move your machinery efficiently. At Famous Heavy Towing Center we take pride in the quality of our service and our employees dedication in providing customers the help they need 24 hours a day. We have a dispatch team that is ready to assess your situation, and we will promptly send our tow vehicle on your way. Our experience in the towing service helps us provide you with fast and efficient service. 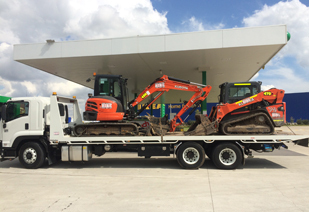 Our fleet is always ready to roll so that it come to your aid at a drop of a hat with our tow trucks are driven only by licensed and professional operators who put their customers first. So, if you have a car that runs out of gas, have a flat tire or encounter anything that keeps your vehicle from running safely, it’s nice to know that you have Famous Heavy Towing Center coming in to your rescue. Also, we're known for our 24/7 availability! The only thing that is more impressive that our tow trucks and equipment is our team of certified and experienced heavy-duty truck drivers. They are supreme capable and familiar with the care and caution that truck towing requires. Our team has years of experience in heavy-duty towing. Famous Heavy Towing Center provides winching or winch out service is provided to pull your vehicle if it gets stuck, typically in mud, sand, snow or uneven pavement where a car loses traction. We can get your vehicle back into the road. We have the proper tools and winch cable and truck to pull your vehicle. Towing and roadside assistance Whatever it may be we're here for you! We come between 15-30 minute & have a 24/7 full time service. Haggle & hassle free for everybody. No cash required! It's a promise! At Famous Heavy Towing Center, we offer a variety of emergency towing services to keep you and your Plant Machinery or Vehicles safe 24 hours a day. In addition to our towing service, we also offer emergency roadside assistance service. Each of our tow truck has dedicated drivers that are licensed and certified to handle different emergency situations. Whether you are stranded on the road or you need to remove an abandoned vehicle or your machinery won’t start from your property, you can depend on Famous Heavy Towing Center to get the job done. Famous Heavy Towing Center is fully insured above the government requirements. Our towing vehicles and drivers carry extensive towing coverage, and we are fully licensed to operate as an automotive towing provider.